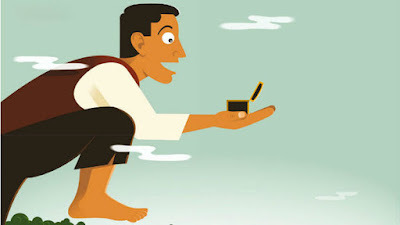 Home » Business and Economics » Who Is A Managerial Economist? Are you looking for an article which will help you to understand about a managerial economist? Then you are here on the right page. I will tell you what are the duties of a managerial economist and also tell you who is he or her? Starting up a business and running a successful business are two different things. Anyone who has money which is needed to start a particular business can start it. But if you want to make a good amount of money with your business then only set up the business is not enough. You have to work hard and analysis the need of your consumer and the part of the market. After analyzing the things you have to build your product according to the needs and also price it carefully. There are some people who start the business at a small level and some people start it with a good amount of investment. And when they invest good amount they will have a big team too. And having a good and hard working team helps us a lot to get our business running successfully. Every one of us knows that teamwork is way too better when we compare it to the work done by an individual person. Today we are going to discuss about the person whom these days every company prefers to have in their team. I am talking about the managerial economist. Now the first question here is who is a managerial economist? What are the Duties of Managerial Economist? Managerial Economist is a person who is appointed by the company or a firm. This person plays a very important role in running the company or the firm I can say. The managerial economist will analyze the competition of the product which is produced by the company he is working for. He analyzes the competition and advises the company to make changes in their products. For example, if you are running a company which produces cookies and you are selling the cookies produced by your company for Rs. 5 per pack. And it is quite obvious that you will have competitors too. So now how will you decide about the quantity you have to provide for Rs. 5? And the pricing strategy? Here the managerial economist’s work comes. He will analyze the product need in the market first of all and will do demand forecasting for your company. After that, he will advise you about the price at which you have to sell your cookies. Here you should note a very important thing and that is the person whom you want to appoint as the managerial economist should have knowledge about the market. And also about the product you are selling to the consumers. Without the knowledge, your managerial economist can’t help you. These days many big companies are showing their interest in having a managerial economist in their company’s team. And some of the companies have already appointed a managerial economist in their company. 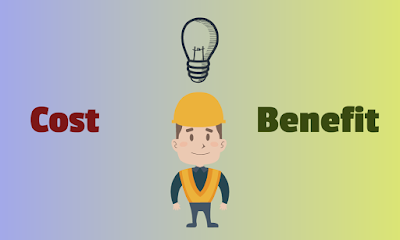 Now when we check out the duties of Managerial Economist then he or she plays a very important role in taking your business towards success. I have mentioned some of the duties below. I have already mentioned about the demand forecasting in this article. But what actually demand forecasting is? Demand forecasting is the art and science of forecasting customer demand to drive holistic execution of such demand by corporate supply chain and business management. 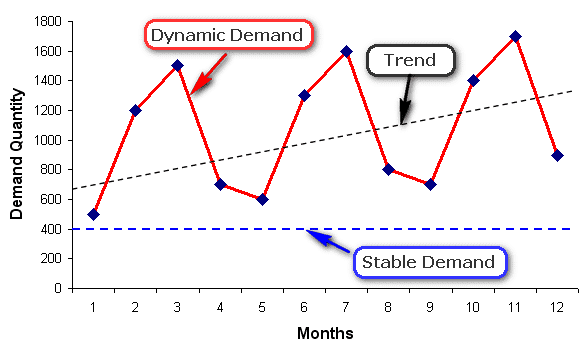 Demand forecasting involves techniques including both informal methods, such as educated guesses, and quantitative methods, such as the use of historical sales data and statistical techniques or current data from test markets. Demand forecasting may be used in production planning, inventory management, and at times in assessing future capacity requirements, or in making decisions on whether to enter a new market. For example, you can look at the graph mentioned below. So when we crack down the data which is mentioned in the graph above. We get to know that minimum 400 products are under demand and no matter which month of the year it is. The managerial economist will advise the company to manufacture around 400 products for each month. But this is not the only thing that is involved in demand forecasting. The managerial economist has to analyze the trend of the product his company is manufacturing. Let’s again take the above-mentioned graph on the subject, we can see that the trend of the product is increasing for every month. Then how many units of the product the company has to manufacture? This is the main thing which the managerial economist has to decide. And when he predicts that amount of products then he shares the whole data with the company. Here the demand for the product keeps on changing. And the managerial economist has to keep his company up to date with the trend report and also give his demand forecasting to the company. The next big thing which is done by the managerial economist is setting the right price for the product which the company is manufacturing. And you should not forget that even when you are buying something for you. One of the most important thing you will check on the product is the price tag. But for how much price your product should be sold? This can be decided by the managerial economist. He or she will analyze your company’s competition and will advise you the price at which you should price your product. And the third thing which I would like to mention in this article is cost analysis which is done by the managerial economist of your company. He will analyze the cost at which you are manufacturing the product. And how you can save the money on the cost of manufacturing. While the marketing manager and other people of your companies team can work on marketing your product and other things. But they can’t clearly define the concepts of cost which you are getting. But a managerial economist can help you cut down the cost. So these were the things which you should know about the managerial economist. I hope you are clear with all the things which are mentioned in this article. If you have any kind of doubts in your mind then you can leave your comment below.